With Hurricane Michael bearing down on Florida’s Gulf Coast and due to make landfall on Wednesday, the next few days are a critical time, especially for pet owners. 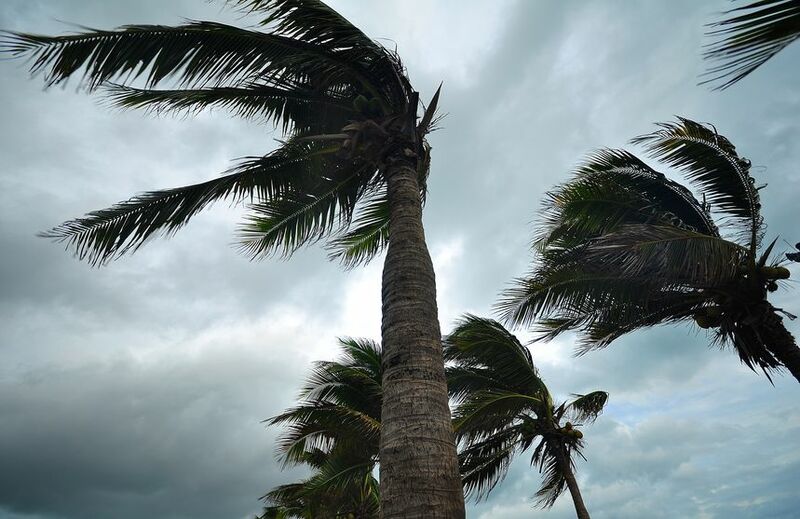 While basic planning and evacuation strategies should already be well in place, we want to reiterate some basic tips for dealing with hurricane emergencies as well as include some current updates and options for those who are in the path of Hurricane Michael. If you are in a mandatory evacuation area (*see below), you should have already evacuated to destinations that will be free of storm surges as well as the heaviest winds and rainfall, but not so far that you’ll be driving long distances in very bad weather. For those who haven’t, or are not in a mandatory evacuation area, but are planning on leaving, you can create an evacuation route using Petswelcome’s People and Pet Emergency Route Planner which will show pet friendly hotels and shelters along the way. Based on the current predicted track of the storm, some cities with pet friendly hotels outside the cone to the northwest include Troy, AL, Andalusia, AL, Opelika, AL, Montgomery, AL. Some towns with pet friendly hotels outside the cone to the southeast include Jasper, FL, Live Oak, FL, Lakeland, FL, Lake City, FL and Gainsville. • NEVER leave your pet behind. • Make sure your pet has an ID tag or chip. • Have a photo of your pet in case it gets lost. • Have a Disaster Supply Checklist for Pets. This should include medications, medical records, leashes and harnesses, water bowls, cat litter and litter box. • Emergency Shelters should be used a last resort. Many low-lying counties do not have shelters due to flooding concerns. If you do have to use a shelter, check with local authorities to see what shelters have opened. You can also check our Emergency Shelters Near You page or More Shelter Info page for state counties that open temporary shelters during emergencies. These states include Florida, Alabama, Louisiana, Maryland, North Carolina, South Carolina, and Virginia among others. • Pet friendly hotels are the preferable option. Reservations should be made as soon a potential landfall and/or track is forecast. Reservations can always be canceled in case the storm changes paths. • Identify the safest area in your house where your whole family can congregate. • Keep dogs on leashes and cats in their carriers. • Make sure pets are wearing identification. • Have pet food and medications and fresh water inside watertight containers with other standard emergency supplies. • If water needs to be purified add 2 drops of bleach to each quart of water, mix, seal, and wait 30 minutes before consuming. Finally, after the storm, keep a close eye on your pets and make sure they don’t roam off. If you have an electric fence make sure it’s working before letting your pet out. Animals could easily get disoriented because familiar smells and landmarks might be gone due to the disruption caused by the storm. Also, try to get your pet back to a normal routine as soon as possible and be aware of behavior that might result from stress. If the behavior continues, be sure to make an appointment with a vet to make sure it’s not due to an injury or a more serious behavioral issue. * Mandatory evacuation orders have been ordered Bay County, (Zones A, B and C), Franklin County, Gulf County (impacting Cape San Blas, Indian Pass, Simmons Bayou, Highland View, Windmark, and parts of Port St. Joe), Jackson County, Levy County, Okaloosa County, Wakulla County (for Zone A and those living in mobile homes), and Walton Country (Zones & B). Other areas have issued voluntary/phased evacuation orders including Calhoun County, Gasden County, Hernando County, Jefferson County, Leon County, Liberty County, Pasco County, Santa Rosa County and Taylor County.